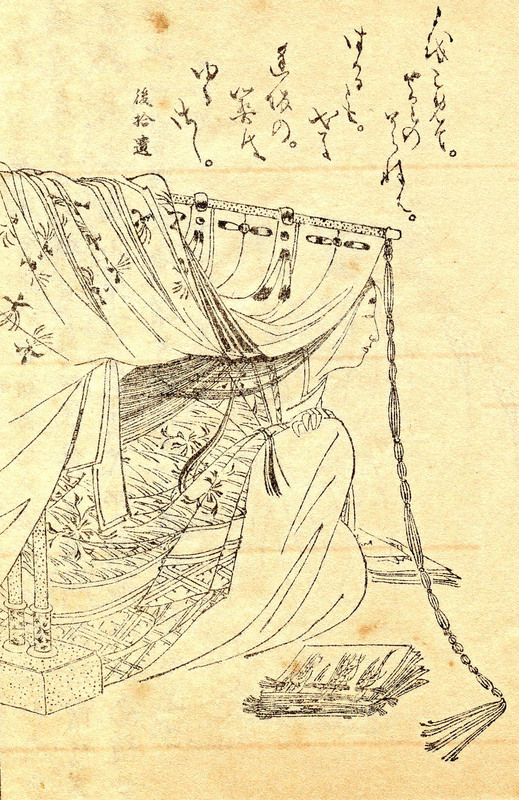 Heian literature: Is all fair in love and no war? How sordid the news is! How hot the summer! One yearns for escape. Is there an island remote enough? Yes. A plane won’t take you there but a book will. “In spring, it is the dawn.” It’s one of the most famous opening sentences in Japanese literature. There’s nothing quite like Japan’s Heian Period (794-1185). Four centuries of peace set it apart; set it outside history. We’re in another dimension. The governing class was an aristocracy of culture. Arms were foreign to them, courage an embarrassment, hatred unknown. Love, poetry, beauty — was there anything else in life? Nothing good. Everyone was a lover, everyone a poet, musician, calligrapher. Deep sensitivity, expressed in poetry or music, revealed in a gesture or a flourish of the writing brush, excused the meanest vices. Insensitivity, betrayed by a gauche poem, a false note, clothing of clashing colors, tainted every virtue. An offense against the cult of beauty was not lightly forgiven. Admission to the circle of “good people” was accorded by birth, but respect within it had to be earned. A tiny, exclusive circle it was. 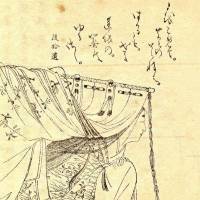 Japan’s population in the 10th century is estimated at 5 million; that of Heian-kyo, the capital (today’s Kyoto), at 100,000, of whom maybe 10,000 were sufficiently high-born to count as anything other than figures of derision or exploitation. If you were outside the circle, were you even fully human? We’ll return to that question presently. Two works of literature tower over the era, and over subsequent ones. Both were written by women — court ladies in the service of empresses. One is “The Tale of Genji” by Murasaki Shikibu (c. 978-1016); the other is “The Pillow Book” of Sei Shonagon (c. 966-1025). “Genji” is a novel — the world’s first by hundreds of years; the world’s best to this day, say more than a few critics. The “Pillow Book” is something else altogether. The term that describes its style is zuihitsu — “follow-the-brush;” whatever comes to mind. Sei invented it, and has had many imitators down the ages. You just write as you feel, about anything you like, whatever moves you, however it moves you, up or down, to delight or disgust, the only requirement being that you write beautifully. Sei is said to have written very beautifully indeed. Something inevitably gets lost in translation. We must do the best we can. In spring it is the dawn that is most beautiful. In summer, the nights. In autumn, the evening. In winter, the early mornings. What else is on Sei’s mind?